Since today is what would have been Marilyn Monroe's 90th birthday I thought my picture is worth 1,000 words series should be dedicated to her. 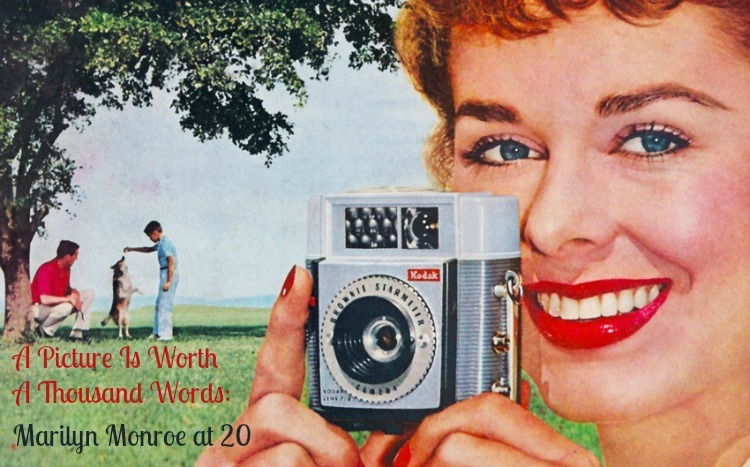 She was just so incredibly photogenic, wasn't she? And although my posts are usually spotlight one photo I couldn't resist sharing more. These were taken by MM's then lover Andre de Dienes, a photographer, on Malibu Beach in 1946. At that time she was known as Norma Jean Dougherty (birth name was Mortenson but also known as Baker), she was newly blonde and newly divorced and had a yearning for the spotlight Hollywood could offer. 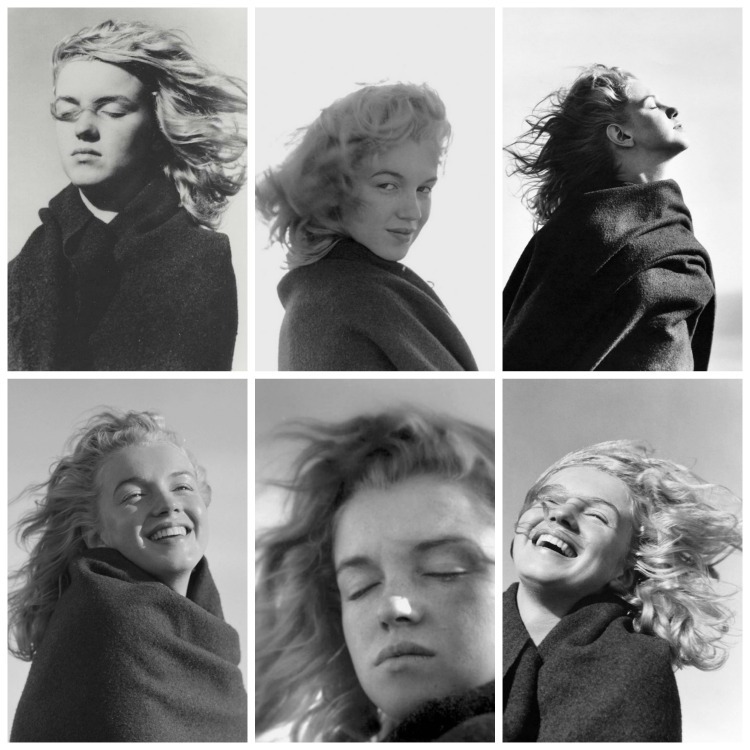 In comes Andre de Dienes who then takes a procession of photos of Marilyn. He asked her to respond physically to certain words that he would say such as sadness, joy, happiness, and death. The result was this series of photographs taken when she was just twenty years old and a Hollywood unknown. I find her captivating in them. She seems unchanged by age and was beautiful til the very end of her life. But it wasn't just her physical self that was beautiful but rather that spirit within her that illuminated and shined brightest when in front of a cameras gaze. Happy 90th Birthday to Norma Jean. Thank you for shining so brightly for us. If you enjoy photography here are some links to my past a picture is worth 1,000 words posts. Gorgeous and carefree looking - the latter something of a rarity in her brief, troubled life. It's photos like these that I feel show us the real NJ/Marilyn and which I think of, more than all the other later Hollywood influenced ones that followed, when I picture her in my mind.